Question: I am looking for a backup solution for my dedicated server. What are my options? Answer: There are three common options that dedicated server managers typically use. All of them have their benefits and drawbacks. 1. Web hosting company. 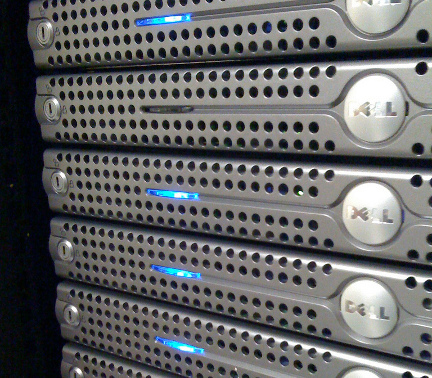 Often times,the company that owns and houses your server also offers remote backup servers at an additional price. The benefits are that you generally do not have to maintain the backup server, although you may have to do some minor setup to prepare it for backup. You also can depend on the established uptime and reliability of your web hosting provider. There are a few drawbacks. They will most likely charge a monthly fee for the service, which can add significant cost, depending on the disk space and features you need. You will also have to keep your backup server secure and manage it yourself. And the most significant drawback is that, if something goes horribly wrong with your web host, you could lose both your server and its backup. 2. Third-party provider. There are many commercial backup services available. This gives you the benefit of shopping around for the best prices and features. You also can be sure that if some freak of nature destroys your data center and all the servers in it, your backups will survive. The downside to this is again the fees involved and the fact that you are putting your trust in a third party after you have already reluctantly offered your trust to your web host. 3. In-house server. “In-house” does not necessarily mean a basement in someone’s home. You could house your backup server in your business office. The benefits are full control over the server, the reliability of your own staff (or yourself) to maintain it, and the lower cost of keeping it running (bandwidth will not be much of a problem since transfers only occur when files are backed up). The drawbacks are that you might not have the same expertise of backup management, thus making the backup files less reliable. You also will not have the data center-level security or power-failure backup. Research all of the options and decide which one is best for you or your organization. When the day you hope never comes finally does arrive, you will be ready and can rest at ease knowing you have a reliable backup.